The exclusive Condado District offers many options on THINGS TO DO – paddle board in the lagoon, tour the area on a bike, take in the local museums, or relax with a yoga class on the beach, all right here in San Juan, Puerto Rico. 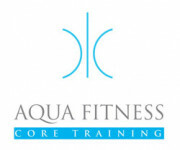 Agua Fitness is a Wellness Studio that provides a unique approach to wellness. We have created an environment where we blended Paddleboard, Kayak and signature fitness classes to take your fitness experience to another level of enjoyment. Situated on 483 gated acres of lush maritime forest on Puerto Rico’s idyllic Northeast coast, Bahia Beach offers an unparalleled tropical experience. Bahia is a place where elegance and unspoiled natural beauty coexist in total harmony. It is a place that provides bliss and adventure in equal measure. Explore our history and discover the craftsmanship behind the world’s most awarded rum. Enjoy a cocktail at our waterfront Bat Bar Pavilion, then join your guided tour to discover how we make BACARDÍ rum and our family owned company’s history of craft and innovation. Come to Casino Metro and escape to San Juan’s best bet. Experience some of San Juan’s best games such as Blackjack, Roulette, Mini-Baccarat, Ultimate Texas Hold’em Poker, Texas Hold’em Poker and Craps. Coco Beach Golf Club, ranked by Golfweek Magazine as one of the top 10 Best Courses in the Caribbean and Mexico, is a 36-hole championship course challenging to all levels that boasts four highly unique nines in a setting of unparalleled tropical grandeur. The captivating allure of El Conquistador Resort, perched high above the ocean on a 300-foot cliff in the northeastern coast of Puerto Rico, is simply a magical and lush setting to test your game, whether you’re a golf or tennis aficionado. As featured on CNN, Caribbean Travel and Life, USA Today and in Frommer's Guidebooks, Flavors of San Juan Food and Culture Tours offers unique 2-3 hour food tasting and cultural walking tours focused on local food at restaurants off the beaten path throughout San Juan Puerto Rico.